Brain Age: Concentration Training, known in Europe and Australia as "Dr. Kawashima's Devilish Brain Training: Can You Stay Focused? ", is a puzzle video game developed and published by Nintendo, and is the fourth major entry in the Brain Age series. It features a selection of activities and minigames that are designed to stimulate and improve the player's concentration and working memory. 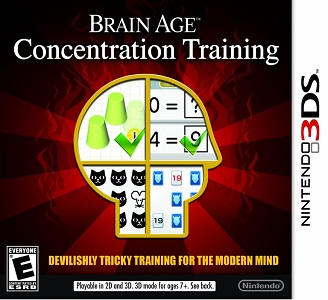 Brain Age: Concentration Training runs great on citra, it may stutter and/or slowdown during new menu animations and transitions, specially when Dr. kawashima is on screen. some puzzles/games are unplayable due to requiring microphone capabilities.